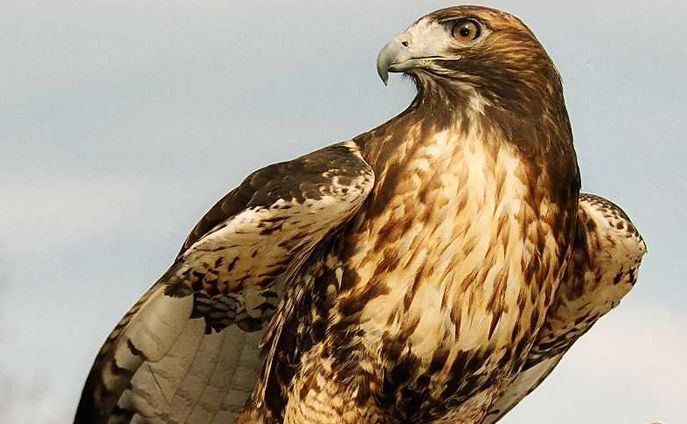 The red-tailed is the most common hawk found in North America. When hunting, this hawk will perch on a branch or power pole to search for its prey. It has excellent eyesight and can spot prey at great distances. The high pitched screech of the red-tailed hawk is often used in movie soundtracks.